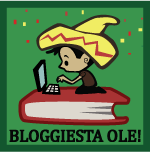 I thought I'd report in since it's nearing the end of Day 2 of Bloggiesta. Oh fine, it's only 7:00pm and there are hours left, but I felt the need to show that I've made some progress today since I did nothing yesterday. I updated my labels and tags. I could have sworn I did this just a month or so ago, but I found a bunch of missing labels and some mis-labeled posts so I feel really good about this accomplishment. Copyright my blogs. Aths from Reading on a Rainy Day suggested using Creative Commons so I am going to check this out tonight. What'sinvolved in updating your Goodreads account? Nicola--I just mean putting the books I've read onto Goodreads. 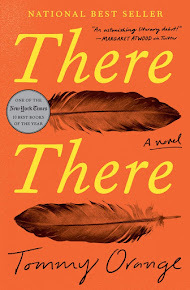 I don't know if I'll link reviews the first time around, just add the book to my read list and give it a rating. Maybe in the summer I'll add reviews. Helen, I'll email you the directions for the Contact Me box. It's really easy - I took time only in getting an image for the Email Me thing, rest all were easy. You seem to have done a lot! Goodreads updating is on my to-do list all the time! Aths--Thank you so much for the html code. I got it figured out!